By the end of October groundbreaking on the new north stand is expected. It will hold 3,000 people when terraced and 2,000 when seated, depending on tournament held. 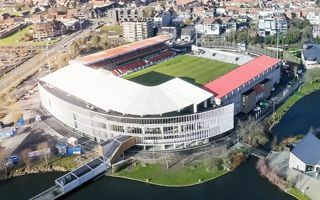 SV Zulte-Waregem revealed that construction of the new north grandstand is weeks away at the latest. It will be dedicated to most vibrant fans and thus terraced for domestic games. In this layout it’s designed for 3,000 fans and a thousand less with seats installed for international fixtures. Initial plan was to begin construction in July and open the sections early into the season, but that time frame was interrupted. Design alterations were required due to the increased standing capacity. Meanwhile already this week the club opens its new training center just across the street from Regenboog Stadion.